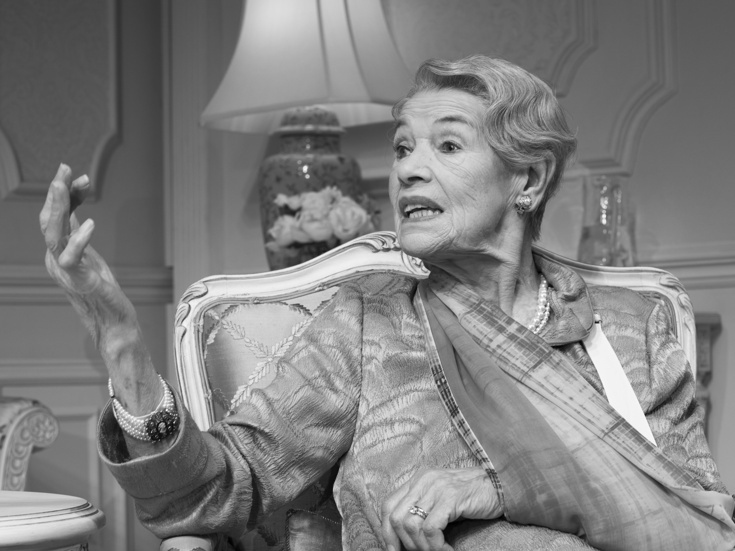 Glenda Jackson in "Three Tall Women"
Glenda Jackson has won her first Tony Award. The iconic star triumphed in the Leading Actress in a Play category for her turn in the Broadway-premiere production of Edward Albee's Pulitzer-winning Three Tall Women. Jackson's win was announced at the Tonys ceremony on June 10 at Radio City Music Hall. The other nominees in the category were Condola Rashad for Saint Joan, Lauren Ridloff for Children of a Lesser God and Amy Schumer for Meteor Shower. You can catch Jackson in Three Tall Women at the Golden Theatre. "I'm one of the oldest people, I think, ever to have stood on this platform receiving this award," said Jackson in a humorous and moving speech. "What a thrill to be in the same house as those amazing children. Weren't they marvelous?" Three Tall Women marks Jackson's first Broadway appearance in three decades. Her past main-stem credits include Tony-nominated performances in Macbeth, Strange Interlude, Rose and The Persecution and Assassination of Marat as Performed by the Inmates of the Asylum of Charenton Under the Direction of the Marquis de Sade. She is a two-time Oscar winner for Women in Love and A Touch of Class. Many congratulations to Glenda Jackson on her Tony win! Look back at the company of Three Tall Women on opening night.